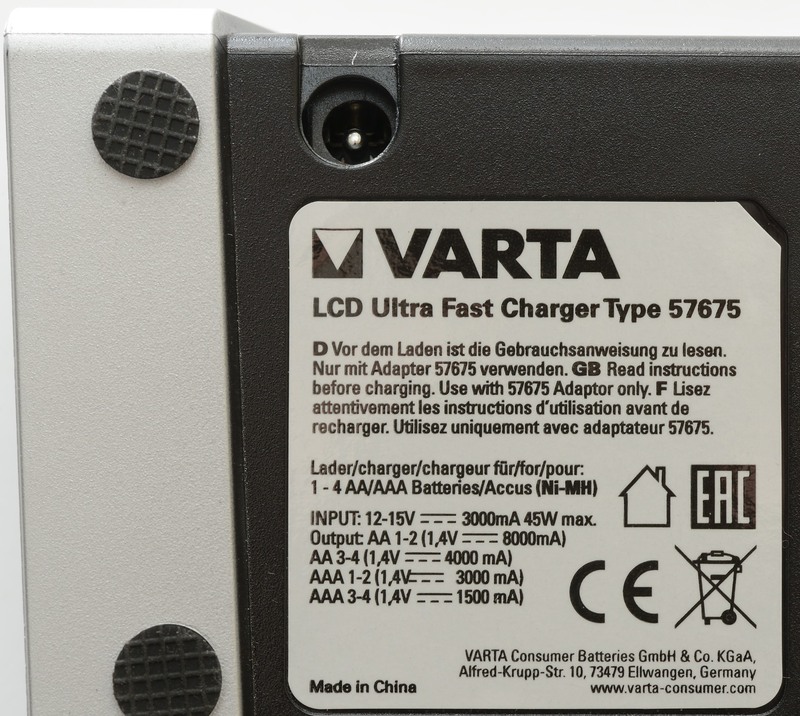 Varta makes both batteries and chargers, here I am looking on a four channel super fast charger/analyzer. 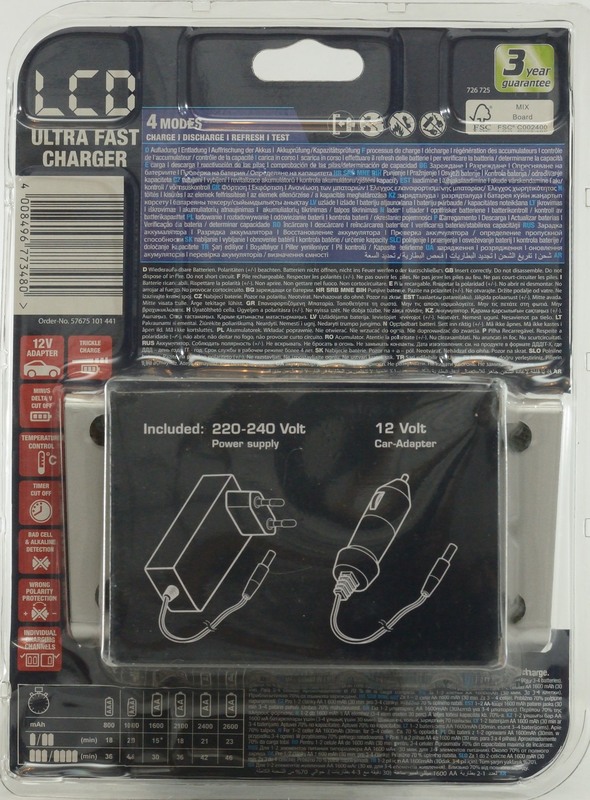 I got the charger in a blister pack. 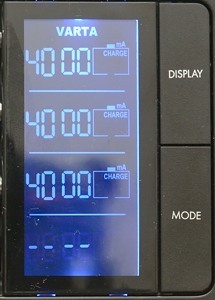 As can be seen on the pack the charger needs 15 minutes to charge batteries, but is this correct? 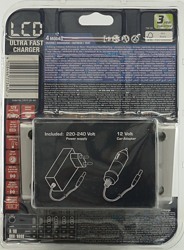 The pack contained the charger, a power supply, a car adapter, four batteries and an instruction sheet. 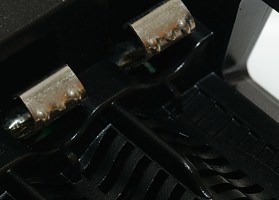 The power connector is placed on the bottom of the charger, this means only angled DC connectors can be used with it (At least if you want the charger to stand on its feet’s). The actual power input is marked on the label, but not near the connector. 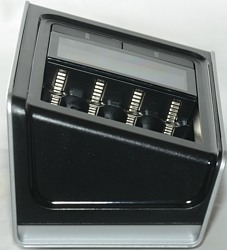 The user interface is a LCD display and two buttons. 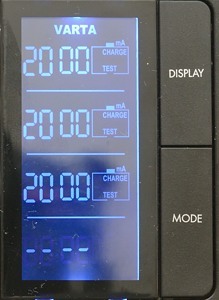 The DISPLAY button is used to select between current, voltage, time and capacity. 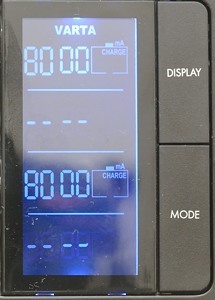 The MODE button is used to select between Charge, Discharge, Discharge refresh, charge test. 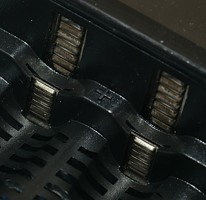 The mode is common for all slots and can be changed at any time. 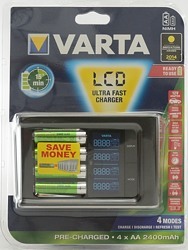 With one or two batteries the charge current is 8A, with 3 or 4 batteries it is 4A. 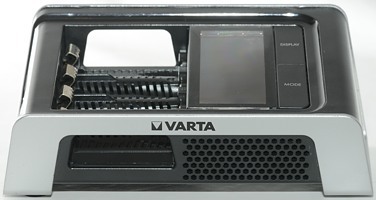 The "Charge test" function will "only" charge with 2A. 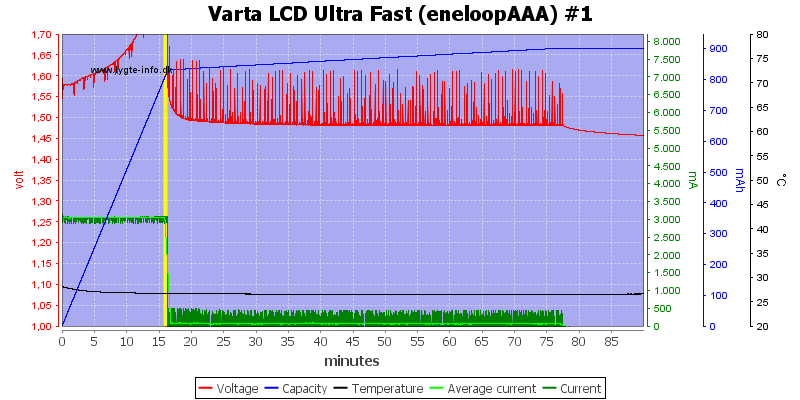 For AAA the charge current is 3A and 0.75A during test. 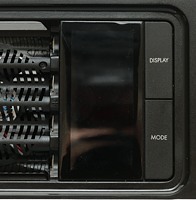 The charger is filled with air vents and has a fan, when it is charging the fan will be on and blow air around the batteries. 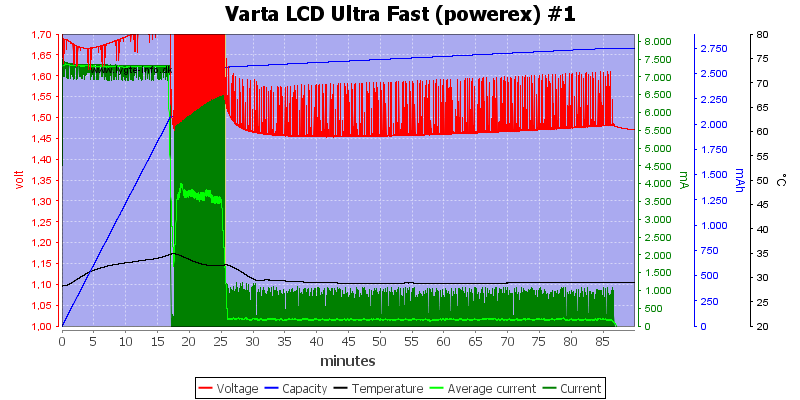 Due to the very high charge current the battery voltage is also very high. 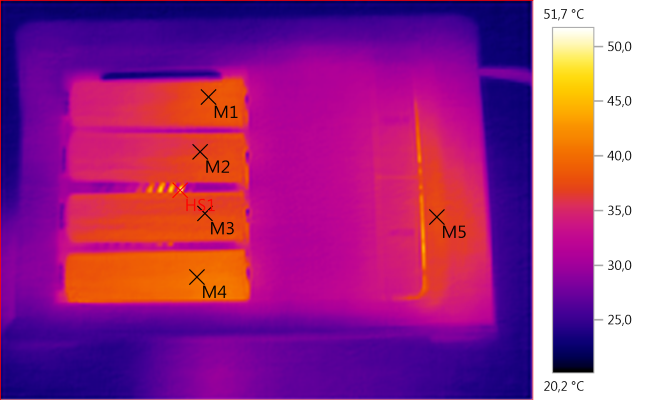 To get a good -dv/dt termination the charge will use a lower current to finish the charge and add a top-off charge at about 200mA for one hour. Display shows 2197mAh in 19 minutes. 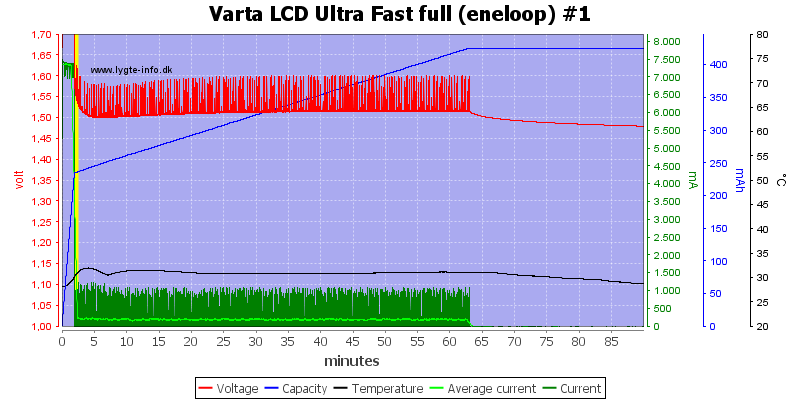 Display shows 2347, 2344, 2150mAh in 19, 19, 21 minutes. 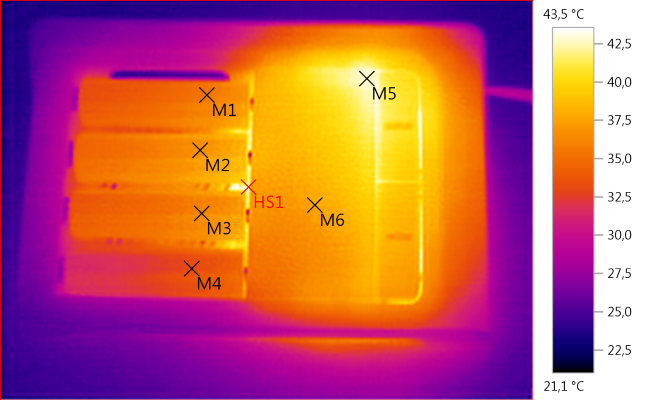 I only tested with two high capacity cells here and they worked fine. 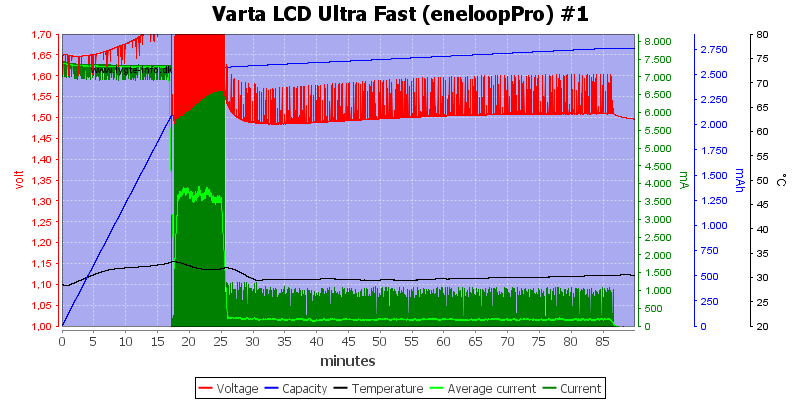 Display shows for eneloopPro 2758mAh in 25 minutes. 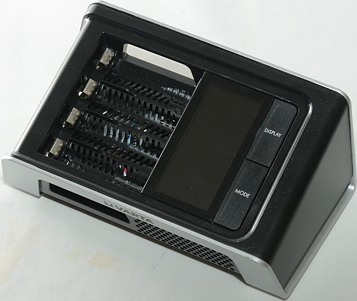 The AAA cell is charged with lower current, but it is a very high current for the cell size and the charging is fast. 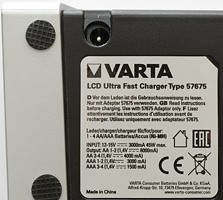 The top-off charge is reduced to 70mA. With this type of high speed charging the charge must be fast at detecting a full cell and with 2 minutes it is fairly fast, but it includes a top-off charge anyway. 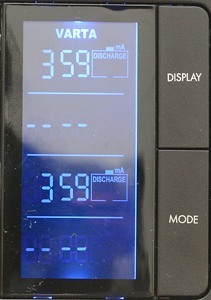 With four cells in the charge the current is reduced to about 3.5A and the charge time is longer. 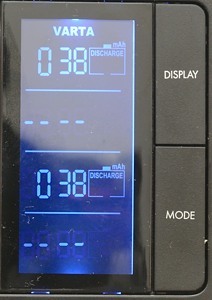 Display shows 2315, 2243, 1730, 2134mAh in 34, 33, 25, 32minutes (Cell in slot #3 is an older cell). 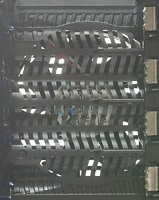 The fan keeps the cell temperature down. The charger needs a bit above 4 seconds to initialize, before it turns the current on. 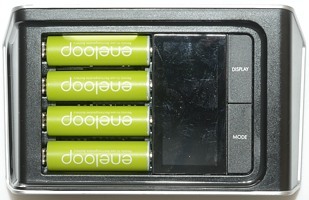 With 3 or 4 batteries the charger is time sharing the charge circuit reducing the average current to 3.5A. 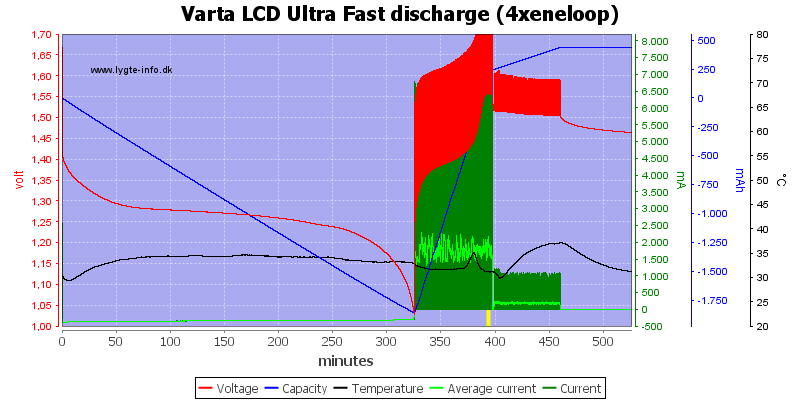 During discharge the average current is down to 1.8A, again done with time sharing. 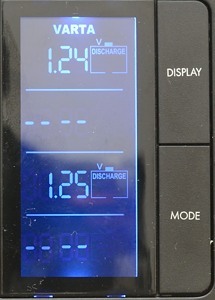 At the end of a 8A charge the charger will reduce charge current to 4A, but the display will not shows this. 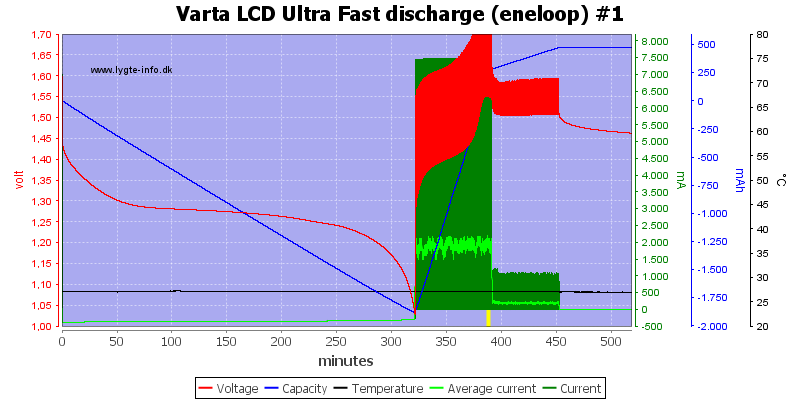 Calling this function discharge is a bit misleading, it will both discharge and charge again. The values shows are the charge values. 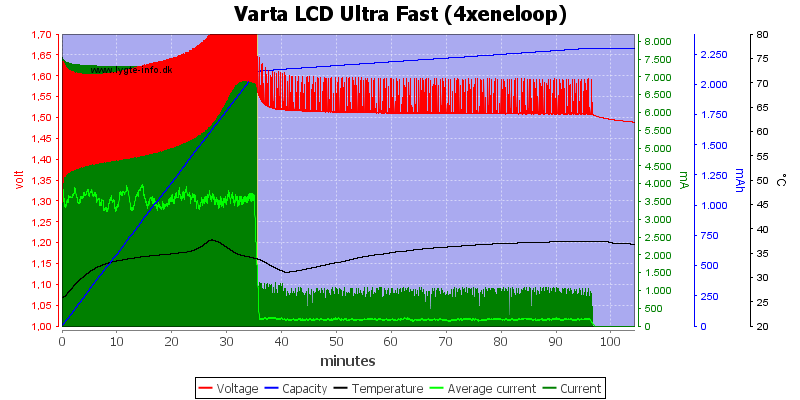 The discharge current will vary slightly with battery voltage. 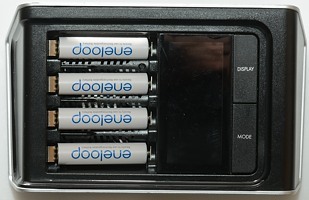 The charger can do all four slots simultaneous, but the batteries are handled individually, as can be seen on the temperature curve (It is for another battery). 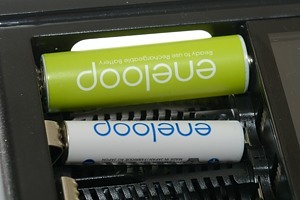 The charger do not use the fan when discharging and it keeps cool enough. Discharge is done with constant current. 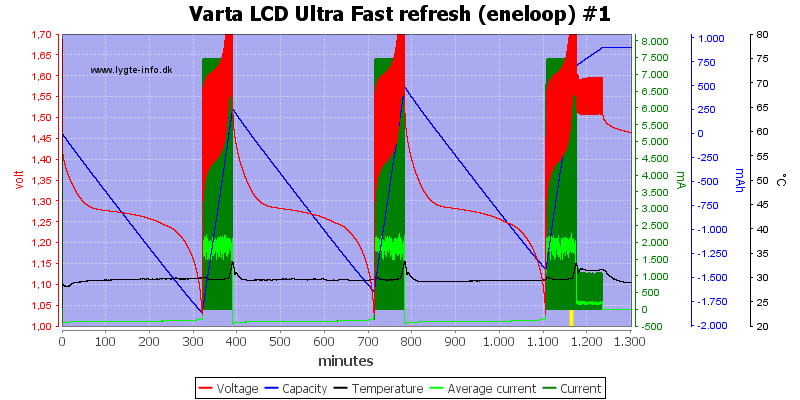 Refresh discharges and charges 3 times. The charge test will charge, discharge and charge again. 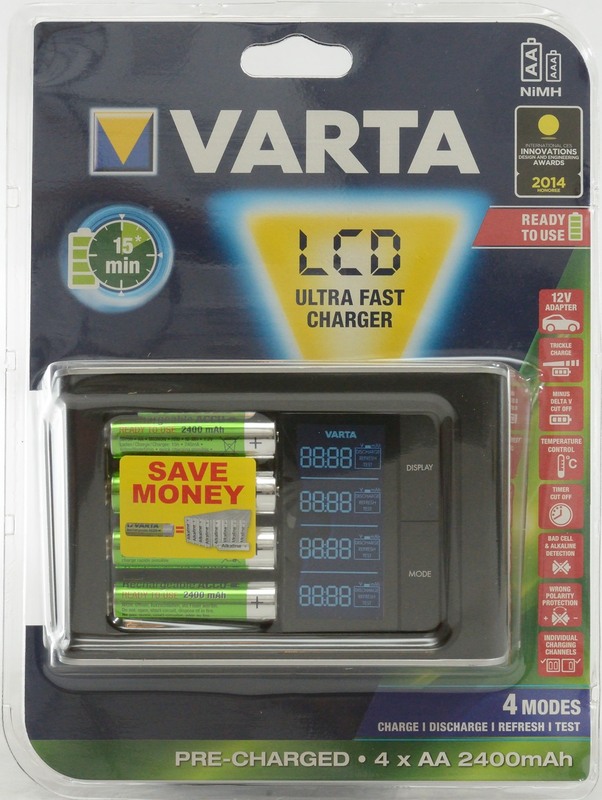 This charger is not the right solution for long battery life, but it is very useful if you need batteries charged fast and don’t mind replacing them frequently. 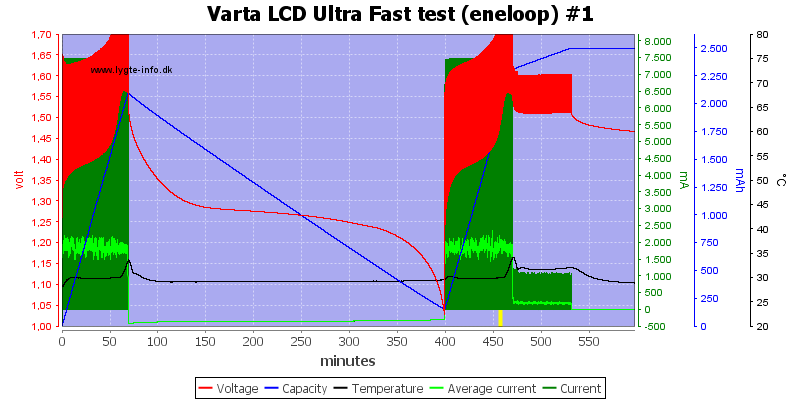 With the build in analyzer it is fairly easy to see when the batteries are worn down. 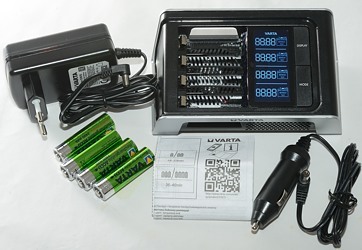 As a general purpose charger or analyzer I will not recommend it, but for people needing very fast charging it is useful, but as usual the announced charge time is rather optimistic, 35 to 40 minutes is a more realistic time for four 2000mAh cells.